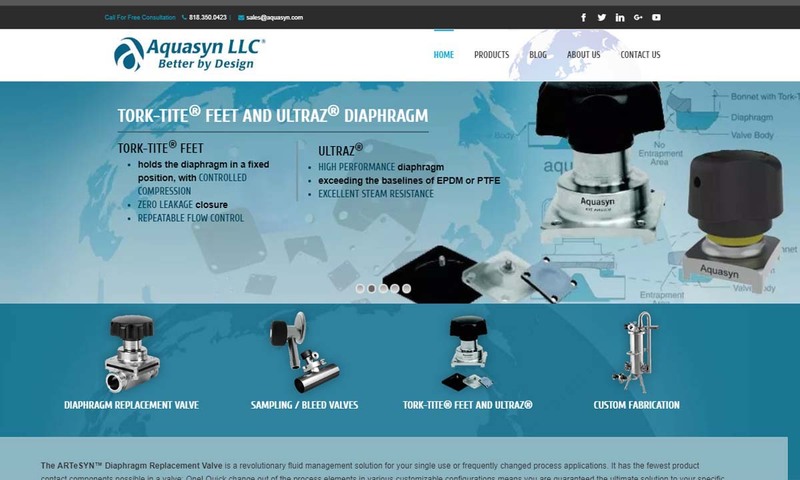 A reliable source for Diaphragm Valves information and a resource for accessing leading Diaphragm Valves and suppliers. Diaphragm valves are one of the many flow control devices available on the market today. They offer precision regulation to liquid, gas, and semi-solid slurry flows alike. Diaphragm valves regulate the transport of process streams by sealing process flow lines, either partially or fully, with a flexible membrane that is stretched by an actuator. They differ from other control valves, like pinch valves, ball valves, and butterfly valves, which use different methods to regulate gas and liquid. Diaphragm valves are popular in a wide variety of industries, including agriculture, biopharmaceuticals, chemical processing, energy production, food processing, irrigation, medicine, mining, plumbing, pulp and paper, and water treatment. Diaphragm Valves Diaphragm valves are one of the many flow control devices available on the market today. 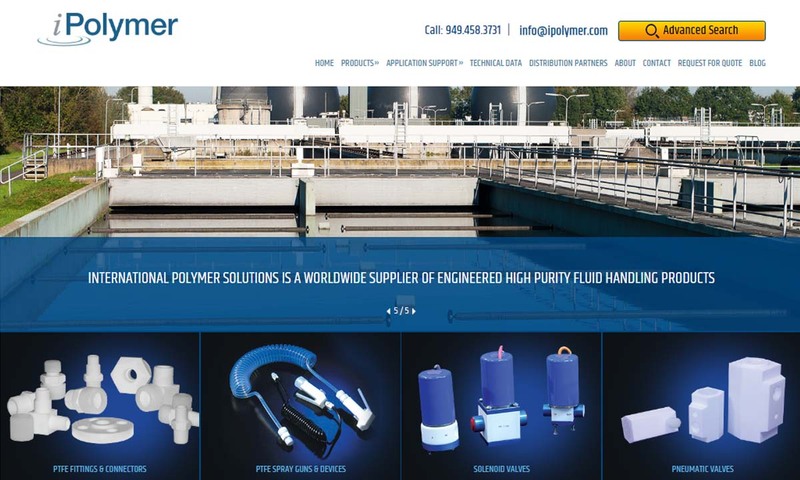 They offer precision regulation to liquid, gas, and semi-solid slurry flows alike. Diaphragm valves regulate the transport of process streams by sealing process flow lines, either partially or fully, with a flexible membrane that is stretched by an actuator. 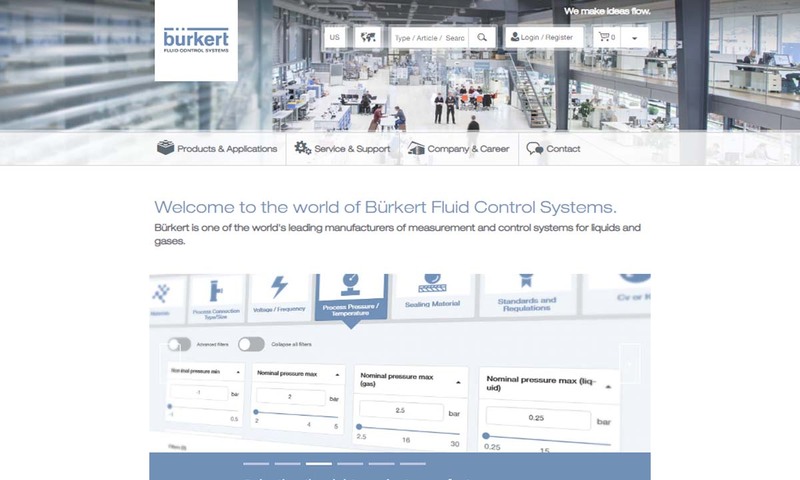 Burkert Fluid Control Systems is a global process supplier of high-quality customized fluid control systems and products, including diaphragm valves. We make a wide range of products that are engineered solutions for you! Our diaphragm valves are number one in the industry when it comes to quality and production time. 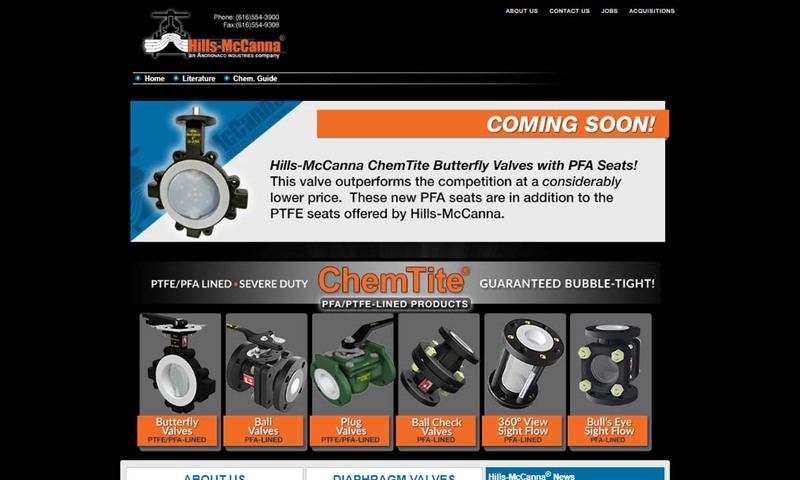 In business for over 80 years, Hills-McCanna is a world leader in the diaphragm valve industry. Our valves are designed to handle a wide range of fluids and gases such as highly corrosive toxic chemicals and abrasive slurries. It is our primary goal that we are able to treat each and every customer as if they were number one in hopes of turning first time customers into lifelong connections as well as to exceed customer expectation one hundred percent of the time. Meeting the needs of the bio-pharmaceutical industry, our industrial diaphragm valves are developed with a bonnet design for high performance & with Tork-Tite® feet which hold our hygienic valves in place with controlled compression. The earliest diaphragm valves were made by the Greeks and Romans. They used them to regulate the flow and temperature of water used in hot baths. Early Greek and Roman diaphragm valves consisted of a leather diaphragm that sealed when an operator manually pressed the diaphragm into a raised section called a weir. The diaphragm valves of these ancient societies were largely forgotten until the turn of the 20th century, when a South African mining engineer, P.K. Saunders, read about them while studying ancient history for fun. At the same time, he was attempting to design an improved underground mining valve system. This was because the ones people worked with bled money from leaky valves and frequently lost power. Inspired by the Greeks and Romans, Saunders fixed this problem by designing his own diaphragm valve. Recognizing that he had come up with something great, Saunders took it upon himself to take out several patents on his valve. Eventually, he licensed a number of different companies, allowing them to produce the diaphragm valve. The first American company to produce the diaphragm valve was the Hills McCanna Company, which started distributing them in 1931. The next step in the journey of diaphragm valves was their union with new materials, like advanced elastomers and improved plastics. For a long time, diaphragm valves were operated manually, but eventually manufacturers largely switched over to automated valves. To make this happen, manufacturers began manufacturing diaphragm valves with actuators. Actuators made diaphragm valves more reliable and efficient. Today diaphragm valve manufacturers make their products using a wide range of configurations and materials. Diaphragm valves are more well-made, trustworthy, and diverse than ever. For example, engineers have developed diaphragm valves so much that many are suitable for use in the bio-pharmaceutical industry. Only time will tell where engineers will take them next. The materials with which manufacturers make a diaphragm valve must be chemically compatible with the material flowing through the valve. They must also be durable. If the materials are not, the valve will likely sustain damage that can lead to product contamination. Materials and compositions they may encounter include adhesives, chemicals, cleaners, coatings, colorants, fuel, paints, silicones, and water. Manufacturers most often make diaphragm valve bodies from materials such as brass, cast iron, CPVC, PVC, stainless steel, and steel. They favor materials like stainless steel for the valve body because such materials are corrosion resistant, durable, and strong. Also, to reduce friction and increase product longevity, manufacturers have the option of adding a body lining of a fluorine plastic or rubber. The actual diaphragm is made of various elastomers, like polyethylene and polypropylene, and others like those used to line the valve mechanism. If the diaphragm will encounter highly abrasive materials, manufacturers can reinforce it with mesh fibers. When designing a diaphragm valve, manufacturers consider factors such as projected space and application diameter and dimensions, frequency of operation, media type, temperature and pressure ratings, process stream velocity, and required end connections. Based on these considerations, they can select the right type of valve, valve material, diaphragm material, valve shape and size, and valve controls. Manufacturers can customize any and all of these valve details to fit your application. Valves may be manual, automatic, pneumatic, electric, or hydraulic. Typically, they feature a body, piping, an actuating device (actuator), a stem, and a diaphragm. The body is spherical or cylindrical and contains both the actuating device and stem. The stem is a rod or piston. The diaphragm sits in front of the stem. The piping, which is connected to the valve body, features a raised bump. Hydraulic fluid, compressed air, or manual turning action causes the stem to press down against the diaphragm. This causes the diaphragm to expand to a new depth, blocking the piping and the fluids that pass through it. This is the closed position. In the open position, the stem retracts, so that the diaphragm goes back to its original position and fluid can pass by. Something to note about the actuator is the fact that it boosts the capabilities of clean valve operation because of the broad possibilities they offer. Clean valve operations are important to many of the applications for which diaphragm valves are used, and so many of them require enhanced valves, such as hygienic valves, biotech valves, or sanitary diaphragm valves. Diaphragm valves are separated into two major categories: diaphragm check valves and diaphragm control valves. Diaphragm check valves ensure materials flow unidirectionally by employing a flexible membrane diaphragm. Diaphragm control valves allow manufacturers to modify pressure, temperature flow rates, and liquid levels as they go along. They do so with the assistance of a diaphragm made of an elastomer film or membrane. In turn, check valves and control valves are further divided into two configuration groups: seat valves and saddle valves, or straight-way and weir valves, respectively. Both of these valve types feature two or more ports through which materials flow. With both, one port serves as an inlet and at least one other serves as a place for exhaust to escape from the body. When the valve is not engaged, materials will simply flow in one port and out the other, but when it is, flow becomes restricted or completely repressed. The main difference between seat valves and saddle valves deals with the alignment of their ports. Seat valve bodies use a 90° bend to cause the directional change of a process stream as it moves around a corner. Essentially, seat valves create a nonlinear stream path. Most often, seat valves are used to facilitate angled flow in cistern or tank bottoms. Saddle valves, on the other hand, direct flow with two ports that are located opposite one another. Essentially, saddle valves create and regulate a linear stream path. Typically, they assist pre-existing flow lines. Aside from the difference in piping or tubing angle, seat valves and saddle valves are essentially the same. To begin with, they both consist of a spherical or cylindrical body, attached to the tubing or tank that requires the valve, which contains the actuation device and diaphragm. They both also have the same type of diaphragm. The diaphragm of both is thin at the edges and thick in the middle, a feature that permits easy stretching. It lifts up when the valve is opened, allowing for gases or fluids to pass. When the valve is closed, the stem engages the diaphragm by applying pressure. This pressure forces the diaphragm to move towards the opposite wall of the piping to create a flexible but effective flow barrier. Other diaphragm valve types include process valves, zero static valves, sanitary diaphragm valves, diaphragm solenoid valves, direct acting diaphragm solenoid valves, indirect acting diaphragm solenoid valves, shut-off valves, pneumatic diaphragm valves, and diaphragm actuated gate valves. Process valves are any mechanical diaphragm designed to regulate, start, or stop a flow process. Zero static valves are another diaphragm valve type that are great for clean operations, because they eliminate the opportunities for bacterial growth and flow stagnation. Sanitary diaphragm valves help their users avoid product contamination. They are made from sterile materials that foster an aseptic atmosphere. Diaphragm solenoid valves are a variation on the regular solenoid valve, which is an electromechanical valve used for flow control. Along with a solenoid coil, diaphragm solenoid valves usually feature rubber diaphragms situated inside of the valve body. They open and close against a hard seat. They may be direct acting or indirect acting. 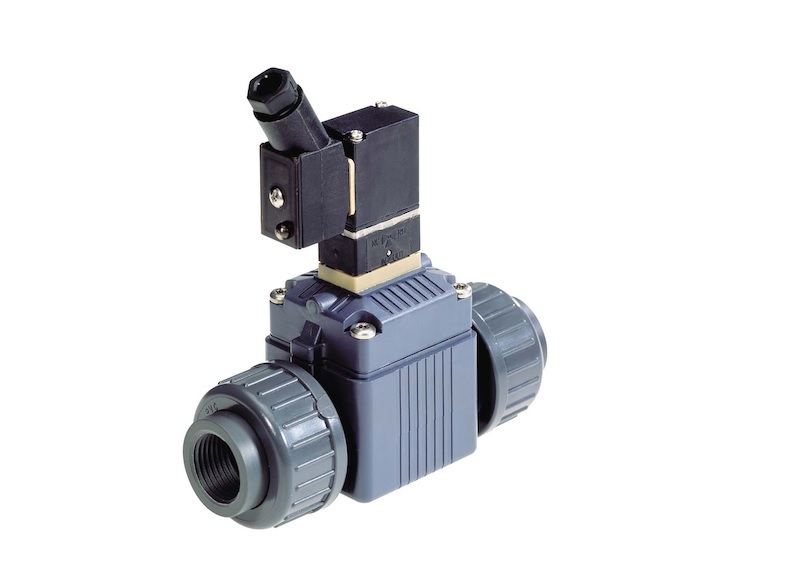 Direct acting diaphragm solenoid valves change their diaphragm position only when the solenoid coil energizes. When this happens, the diaphragm opens or closes, depending if the valve is normally open or normally closed. Indirect acting diaphragm solenoid valves, also known as pilot operated diaphragm solenoid valves, require diaphragm pressure to work. They change their diaphragm position when the fluid flowing through a valve gathers enough pressure. In other words, the media pressure acts as a pilot, directing the diaphragm position. Shut-off valves are those valves capable of stopping, or shutting off, flow in a pipe using positive closure. Pneumatic diaphragm valves are automated diaphragm valves that use pneumatic controls with an elastomeric membrane. They are popular because they only require the compressed air to expand and contract the diaphragm materials. Diaphragm actuated gate valves are bi-directional flow safety valves. They combine the strategies used by diaphragm and gate valves to create an extremely reliable hybrid. They feature two floating seats, a slab gate, and a spring return diaphragm actuator. Diaphragm valves offer their users a wide variety of advantages. First, they are easy to install. Second, they are reliable and easy to maintain. Another benefit of diaphragm valves is the fact that they can resist corrosion and other damage from both harsh chemicals and radioactive fluids. Also, unlike some other valves, slurries, solids and the like will not get caught in air pockets. So, they are more efficient than others and they are less likely to catch and transport impurities. Manufacturers may recommend any number of accessories for use with your diaphragm valve, depending on your application. Examples of some common diaphragm valve accessories include o-ring sealed bonnets, direct loaded bonnets, extended stems, gear boxes, positioners, solenoids, mounting brackets, and more. To maintain the health of their diaphragm valve, customers must conduct routine cleaning and maintenance. Doing so ensures efficiency and a lack of leakage. If you are in the market for diaphragm valves, you get the results you want by pairing with a high-quality valve manufacturer or supplier. To assist you in locating such an entity, we have put together a comprehensive list of those diaphragm valve manufacturers we trust most. You will find company information, complete with profiles, wedged in between the industry info. Before you start looking at manufacturers, though, we recommend you take some time to jot down your specifications. Make sure to include not only your technical specifications, but also things like your budget, your timeline, your delivery preferences, and your post-delivery support preferences (installation assistance, parts replacement, etc.).  Once you have done that, you are ready to start looking for your manufacturer. As you browse, keep your specifications at the forefront of your mind. Select three or four diaphragm valve manufacturing companies in which you are most interested, and then reach out to each of them. Discuss your application at length; don’t be afraid to ask a lot of questions. One of the many signs of a good company is a helpful and engaging sales staff. If they are impatient with your questions, you might not want to work with them. Once you have spoken with each manufacturer, compare and contrast their services and offerings, and pick the right one for you.